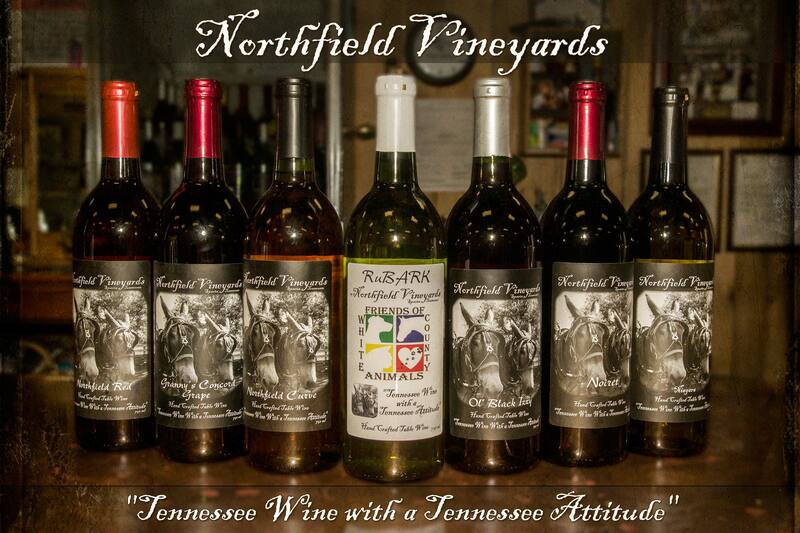 You'll find Northfield Vineyards located in the midst of the Highland Rim, just a short drive outside of Sparta, Tennessee & just 3 miles south of Cookeville. Winding two lane roads, beautiful farms, and the foothills of the Cumberland Plateau will accompany you & your friends to our vineyards. Please click, tap, or bang "View larger map" twice to activate the map. We would love to have you spend the day with us... but we understand you've got things to do and places to go. So to help you out, we've listed a few places you might want to check out, all located within a few minutes of Northfield Vineyards. While you're in our neck of the woods, select from below to learn more about our neighbors (select again to minimize). Amazin' Acres of Fun ~ 3 mi. or 2 min. Fall-Pumpkin patch, corn mazes, fall farm adventures, animal petting, educational field trips, hayrides, spring-egg hunts, and the best strawberries around (pick'em, buy'em eat'em... yum)! nature determines our hours, not a clock! Robert's Family Diner ~ 3.5 mi. or 5 min. Whether you just want to stop in for just an appetizer or a full meal, Jerry and his family are here to serve. View our Breakfast or Lunch/Dinner Menu in PDF. Burgess Falls State Park ~ 7 mi. or 12 min. "Burgess Falls State Park, located on the Falling Water River, noted for its natural beauty and four waterfalls that cascade down from over 250 feet in elevation. The last of these falls is the most spectacular, plunging more than 130 feet into the gorge." Hours of Operation: 8:00 AM CT until 30 minutes before sunset when gates are closed. Fragrant Mushroom Gallery ~ 11.4 mi. or 15 min. "The World's Most Affordable Pottery" Offering in-store, wheel thrown pottery, candles, and more. Calfkiller Brewery ~ 14 mi. or 21 min. "...producing wonderful Calfkiller Beers on the brewing system they pieced together. Always adding equipment when possible. Always dreaming of the future. But, never losing sight of the beer that is being brewed today... Hell Yeah!" Interested in what else White County has to offer you while visiting?